Nearly all of Purple’s unionized employees in Denver, Oakland, San Diego and Tempe participated in the strike, even though only a minority of those employees, the full-timers, will be impacted by the increases in health-care costs. Reports from the picket lines and from ASLIU local officers reveal that only three of the 150 employees in the four centers chose to cross the picket line and go to work that Monday. The May 5 strike was triggered by the company’s blatant disregard for ASLIU’s right to bargain over changes to the health-care plan. Purple didn’t even bother to notify the union that it was contemplating increases in deductibles and in the employee share of dependent coverage until March 21. By that time, the deal on deductibles had already been cut with the insurance provider and the decision to change the employer/employee ratio of premium cost had already been made. There was no opportunity left for the union to bargain over the changes. In two subsequent bargaining meetings, on March 27 and April 9, the union said it was willing to talk about the changes in the context of an entire contract, but did not agree to them as a stand-alone change of employee benefits. Instead of withdrawing the proposed changes until they could be negotiated fairly, the company made an incredibly lame offer for a swap. In exchange for increasing the health-care costs for our members, they would offer internet access in the workstations. The offered “trade” was not only ludicrous on the face of it, it was essentially meaningless. The union had already negotiated a tentative contract clause for providing internet access once the contract is ratified. When ASLIU negotiators rejected the company’s offer, they were informed that the health-care changes (and the internet access) would be implemented, anyway. At that point, ASLIU leaders felt that a strong response was required and began to plan the strike. ASLIU has filed unfair labor practice charges in all four regions of the National Labor Relations Board where the union Purple centers are located. The union expects the charges to be upheld after the Board investigation and hearing process, which could take some time. One remedy of winning could well be that Purple will be ordered to reimburse employees for extra costs incurred as a result of the changes. The union does not plan to be idle while the Board process plays out. Besides wanting to remedy Purple’s violation of the law, we still have our eye on the bigger prize: A contract. We are seeking to schedule another negotiating meeting with the company but, because of summer vacation scheduling conflicts, we don’t expect that to happen until sometime in mid-July. While we wait, we will continue to look for ways to exert pressure on this company to achieve our goals. We won’t stop until the more reasonable minds at Purple prevail and we have a fair contract. They certainly know now that our union – all of us – will fight for what we believe to be right. We are in this together, and we’re in for as long as it takes. Bargaining bulletin #5: There is none. We skipped a number. 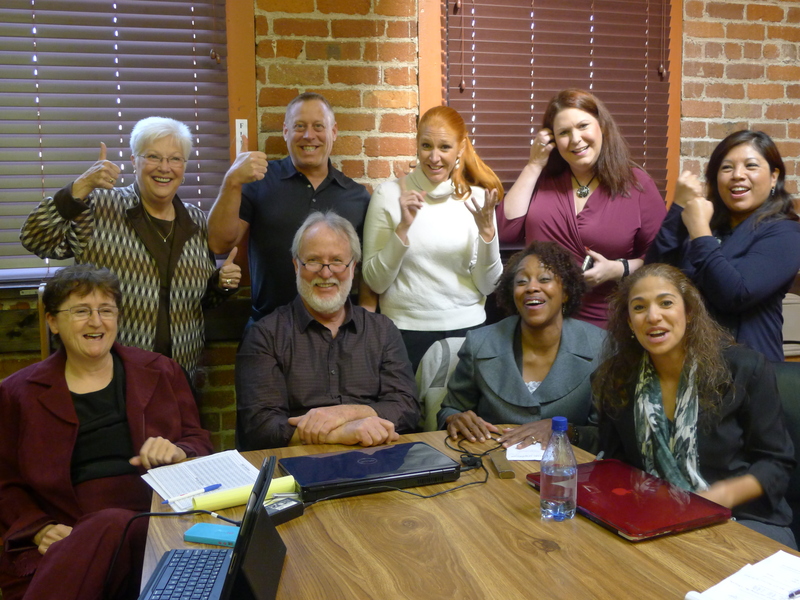 Our bargaining committee members are proud members of the National Association of the Deaf. We are Interpreters Guild of America. Join us today! You may work independently, but you don’t have to go it alone. Interpreters Guild of America (formerly The Translators & Interpreters Guild (TTIG)) was created by and for professional interpreters and translators who work as freelancers and contractors. Whether fighting for fair pay or securing affordable insurance, our members understand the benefits of working collectively. By joining together, we can protect both those we serve and our own livelihoods. We know interpreters need a voice in politics. IGA lobbies to advance language access rights, demand equitable wages and working conditions, and safeguard high professional standards. 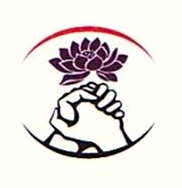 As affiliates of The News Guild-CWA, our voice is backed by some of the nation’s largest unions of private and public staff interpreters, including the California Federation of Interpreters (CFI) and American Sign Language Interpreters United (ASLIU). IGA members are eligible to buy into affordable group dental and vision plans offered through our local, Pacific Media Workers Guild. Most members can secure better deals on individual health policies through our partnership with Association Health Plans (insurance subject to state regulations and may not be available in all areas). Our members and staff can advise you on how to negotiate a fair contract, what language to watch out for, and what to do when a client doesn’t pay up. And upon request, our support staff will contact non-responsive employers with formal demands to pay what they owe, in a reasonable time frame. Members are invited to our national LinkedIn group, where professional interpreters and translators in many states share career tips, job leads and more. You will be listed in our referral directory of union interpreters (pending), and have the right to use our “Union Freelancer” logo to market to union clients on your cards, website and correspondence. IGA members are eligible for all the education benefits offered through CWA, including access to Lynda.com, the CWA-NETT academy, scholarships, seminars and more. Members also get discount admission to conferences and continuing seminars sponsored by the California Federation of Interpreters, with CEU credits approved by a number of states and accreditation agencies. As official members of the AFL-CIO, IGA members can take advantage of the wide array of Union Plus benefits and services, including discounts on car rentals, AT&T wireless service, Dell computers, Goodyear tires and much more. Full voting membership in IGA costs $12 per month, or $144 annually, and includes all the benefits and services outlined above. Students and retirees qualify for a non-voting membership at $6 per month ($72 annually), which does not include access to benefits. You can pay dues with your ATM card, credit card or bank through PayPal by clicking the button below.